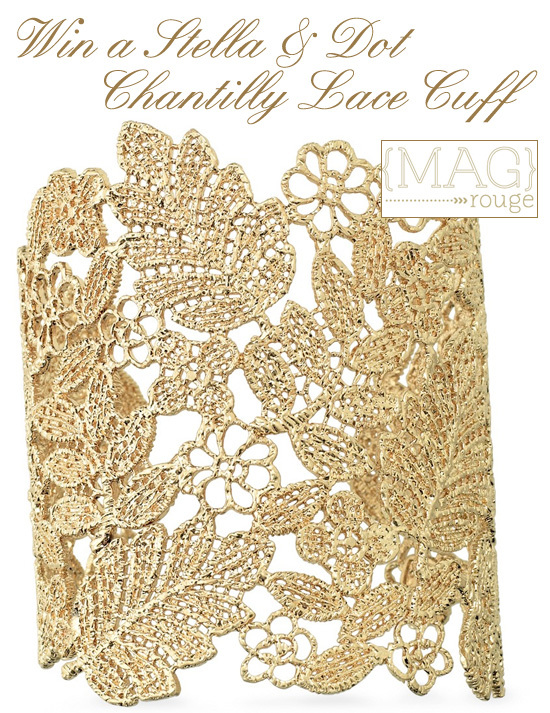 Coming soon, the amazing Kate of Magnolia Rouge and Ruby & Willow in New Zealand will be launching an online magazine and to celebrate the December 6th launch date you can win yourself a stunning prize like this Stella & Dot lace cuff. For your chance to enter and win you will need to like MAG rouge on facebook and then post this on their wall "Excited about the new MAG rouge, heard it first from Best Wedding Sites". Be sure to tag "Best Wedding Sites" and you’ll instantly be in the draw to win a whole lot of fabulous prizes. For a second entry, simply follow @mag_rouge on twitter and tweet "Excited about the new @mag_rouge, heard it first from @weddingsites"